We bring the freshest meats to our customers, but we also provide dairy, frozen and other foods & grocery products. Discover how Mays Meats can bring the entire range of meat and food service products to your store or restaurant. Discover how we bring the freshest beef, pork, lamb and poultry to our retail shelves and to our customers throughout the region. Continuous growth is a hallmark of Mays Meats. 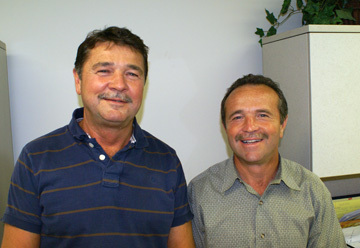 Started nearly 40 years ago as a custom slaughter house and meat processing company by Wayne Mays and his wife Margie. 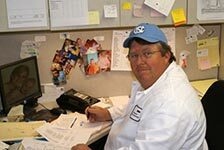 Mays Meats, now under the ownership and management of their sons, Jim and Mike Mays, employ over 70 people in the Taylorsville North Carolina area. 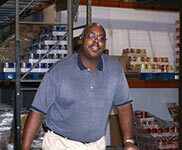 We have a full retail store and operate 16 refrigerated delivery trucks of all sizes. We make deliveries everyday but Saturday and Sunday to restaurants, and grocery stores in an approximate 150 mile radius of Taylorsville. We are open on Saturday for restraunt pick ups. Jim takes charge of production while Mike handles sales and marketing. The quality of our service and of our products, has allowed us to compete successfully with larger regional competitors. As we grew from a meat processing facility into a distributor that supplies every food and paper item used in restaurants, we are now a full service supplier for restaurants and some grocers. We have continuously added more cold storage and freezer space and, true to our roots, we still provide a custom slaughter house for beef, pork, and lamb. All of our meat is USDA inspected. Our building and our presence in the community have grown and we take a measure of satisfaction by being able to support the community with good jobs and provide great products in our retail store. Our retail outlet has grown exponentially over the years. We sell fresh and frozen groceries to the public six days a week. Hours of operation are 8:00 am until 5:30 pm Monday through Friday and 8:00 am until 2:00 pm on Saturdays. We are closed on Sundays. 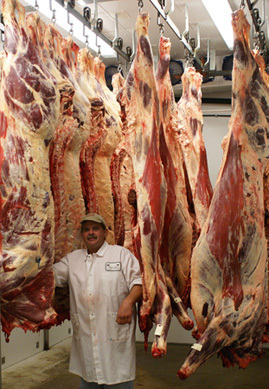 The meat in our store is "Fresh as Fresh is" as it travels only about 30 feet from the processing room to the shelves. The Lord has blessed us tremendously," said Jim. "That's the key to our success." We also have added Sugar Grove Country Ham to the mix.